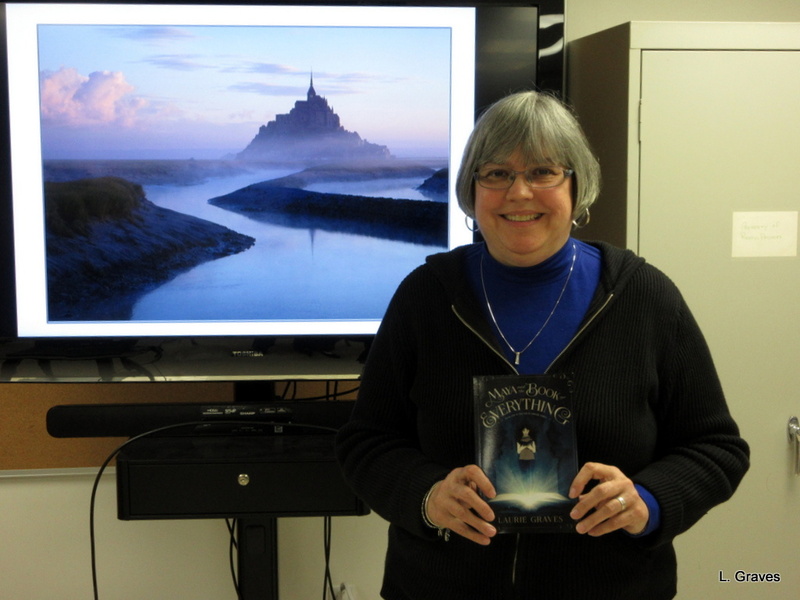 Yesterday, I delivered two copies of my fantasy novel Maya and the Book of Everything to the Vassalboro Public Library. One was for the library. And one was for the director, Donna Lambert. 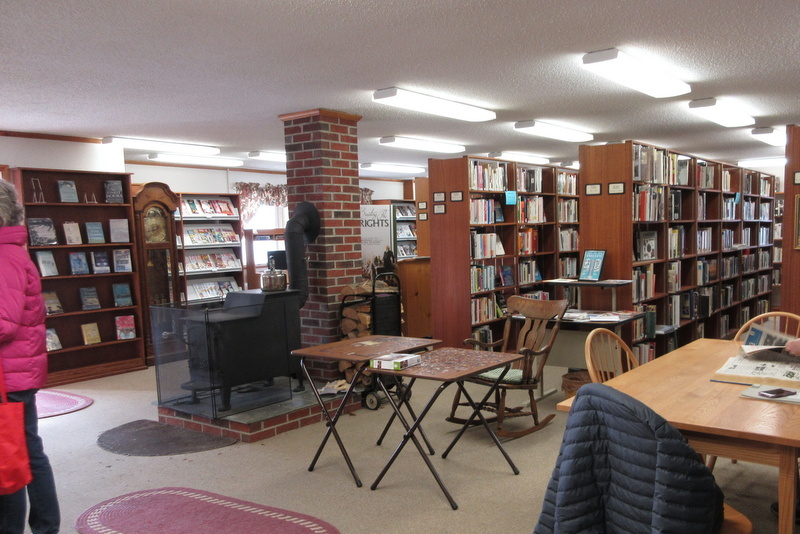 The Vassalboro Library is special to me for a couple of reasons. 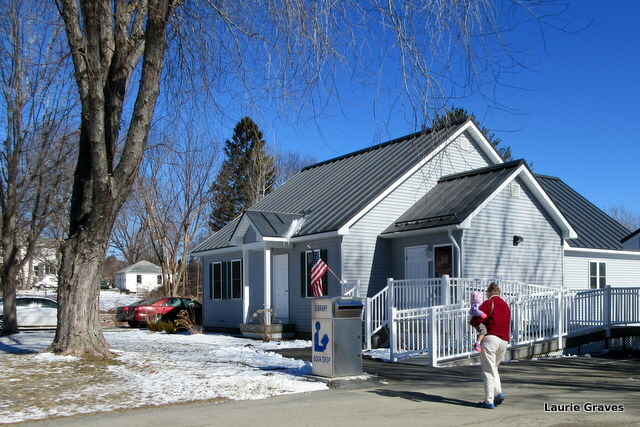 I grew up in North Vassalboro, and this library, along with the Waterville Public Library, was one of my first libraries. 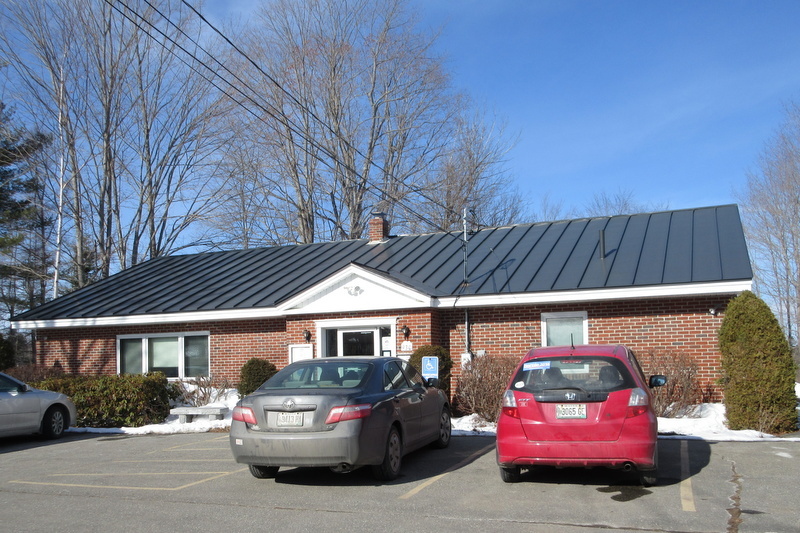 However, when I was going to the Vassalboro Library, it wasn’t in this particular building. Instead, it was in a converted lake cottage that unfortunately burned down. Out of the ashes came this new library, and although it is significantly bigger than the old one, it somehow still has the cozy, welcoming feel of the converted cottage. That spirit lives on. The other reason this library is special to me is that it is central to the story in Maya and the Book of Everything. 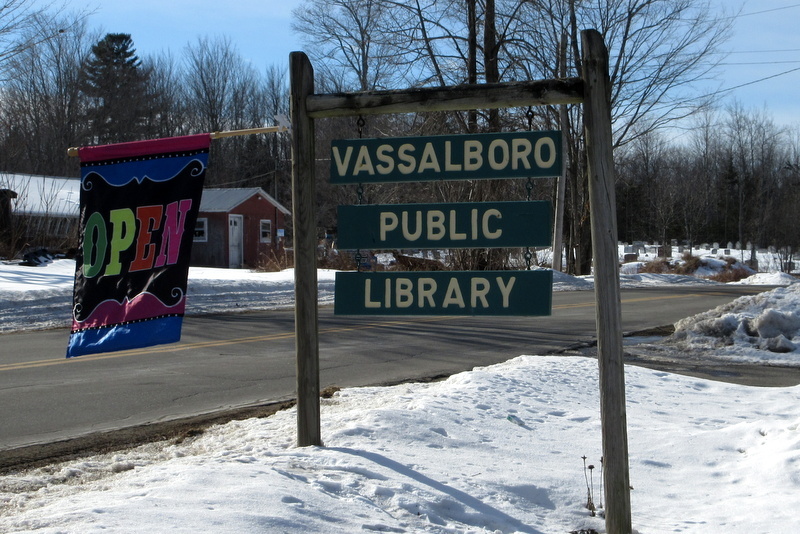 In the novel, Maya is staying with her grandparents for the summer in East Vassalboro, and their house is within walking distance of the Vassalboro Library. It is through this library that Maya learns about the extraordinary Book of Everything, which has recently come into her possession. 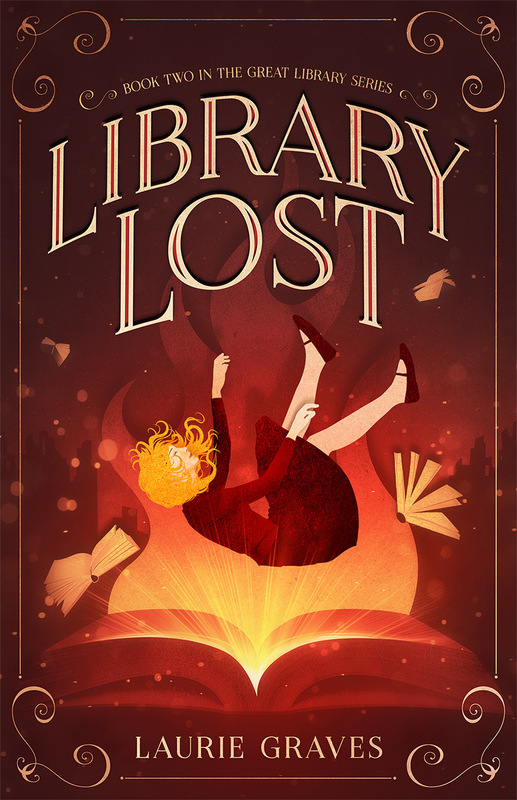 Maya also learns about the League of Librarians, whose job it is to protect the Book of Everything from a shadowy organization—the Association for the Preservation of Order—that is after the book. 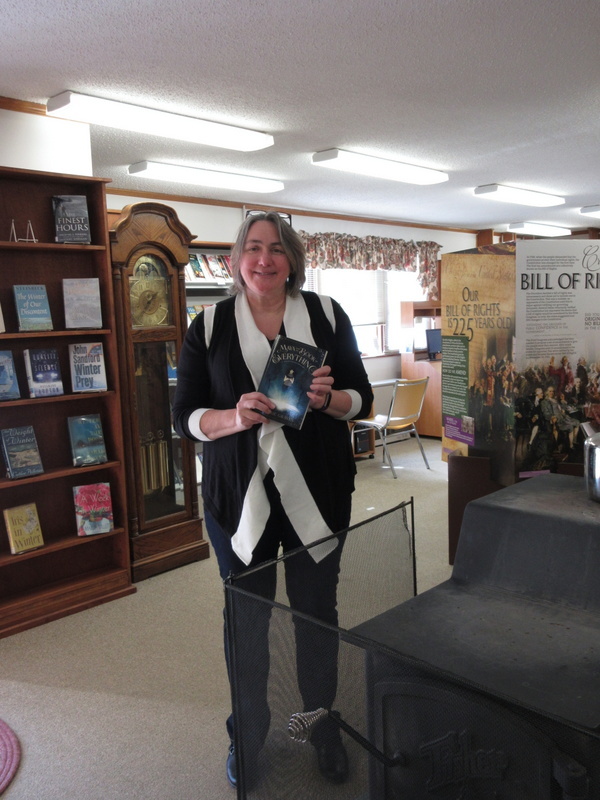 At the Vassalboro library, I chatted for a bit with Donna, who clearly loves this library and her job. “I always look forward to coming to work,” she told me, and it shows in her bright face that Donna is happy to be right where she is. Then I walked around the library and looked at books. For a small library, it has a wonderful collection, and while I was there, a steady flow of patrons came and went. A busy library is a happy library, and it did my heart good to see so many people coming on a Monday afternoon. I’ve written this before and no doubt I’ll write it again. 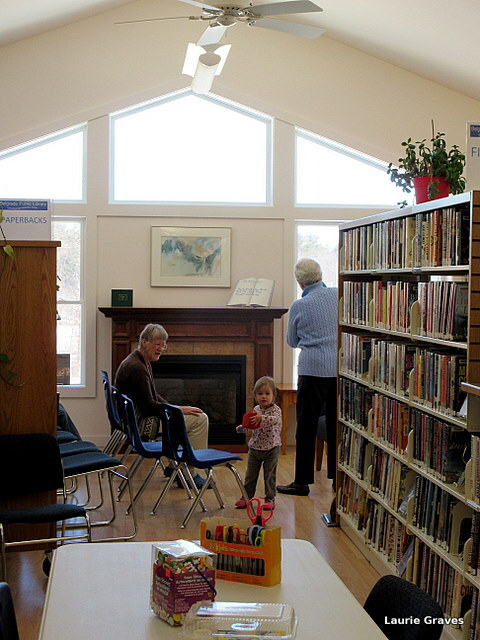 In Maine, libraries are open to all, regardless of race, gender, income, and ethnicity. It doesn’t matter who your family is. With a library card, the world of ideas and story is open to even the poorest person, who might not be able to travel far but who can nonetheless, with the right book, go across the universe. I’m sure it’s obvious that my love of libraries runs deep, and I hope to take Maya and the Book of Everything across the state to libraries great and small. 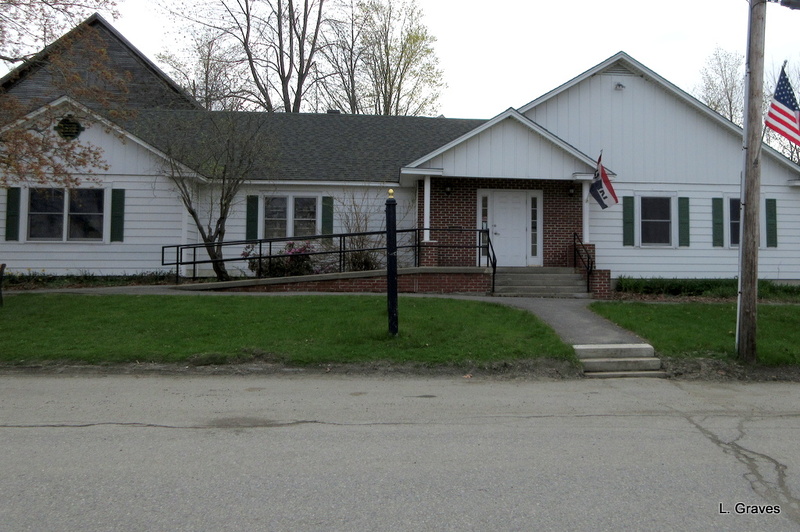 Because of my history with the Vassalboro Public Library, it’s oh so appropriate that this is the first library and librarian featured with Maya and the Book of Everything. But Bailey Public Library and Waterville Public Library, I’ve got my eye on you. Yesterday, I visited with my friend Beth and her granddaughter, Piper. 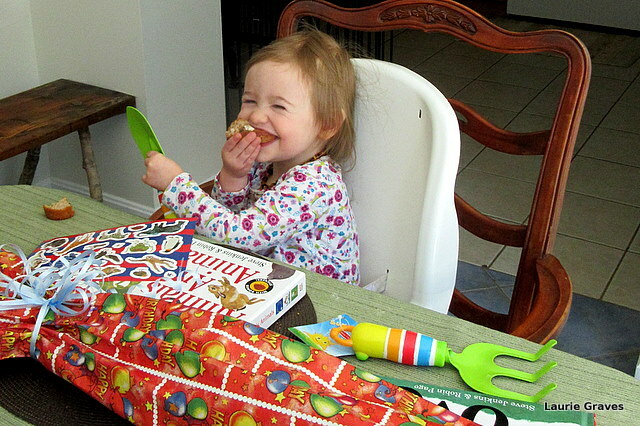 As it happens, it was the exact day of Piper’s second birthday, and we had muffins to celebrate. I gave Piper some books about animals, and Beth gave her some garden tools. Start ’em young! After that, it was on to the Belgrade Public Library for story time. I love libraries big and small, and this particular library might be little, but how sunny and open and inviting it is. The staff is warm and welcoming, and I immediately started “talking libraries” with the director, Janet Patterson. I told her I was one of the trustees for the Winthrop Public Library, and we were both in complete agreement that libraries provided essential serves, “food for the soul” for their communities. This, of course, led me to think about libraries and their budgets. 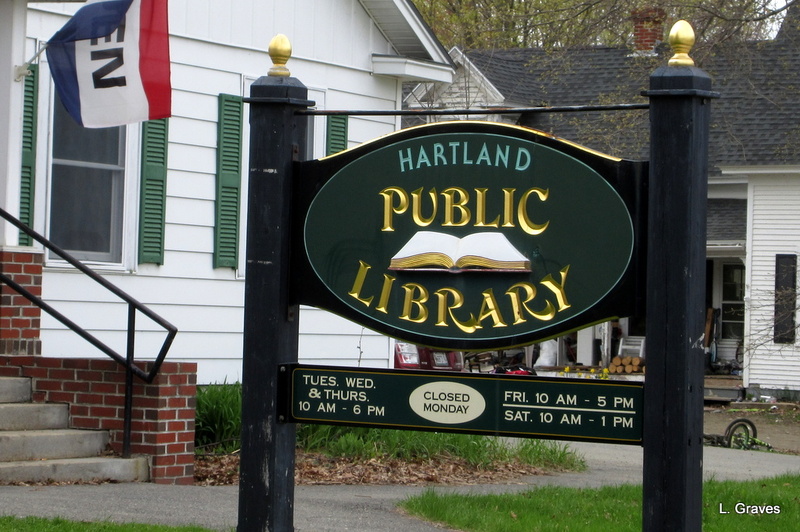 Unfortunately, when times are hard and the state doesn’t honor its obligations for town revenue sharing, libraries are sometimes seen as optional, a frivolous service. Nothing could be further from the truth. For many people, and I include myself in this group, libraries are a lifeline, a way to stay open to the world of ideas and stories, even when times are hard. In fact, especially during these times. Unfortunately, libraries frequently have to fight for every penny they receive, and although their budgets are relatively small, they are often the first to receive cuts. But on such a sunny day, with a Dr. Seuss story to honor the anniversary of his birthday—March 2—and a craft project that involved making a giant hat, it was impossible to brood about stingy budgets for libraries. Happy birthday Miss Piper and happy birthday Dr. Seuss! 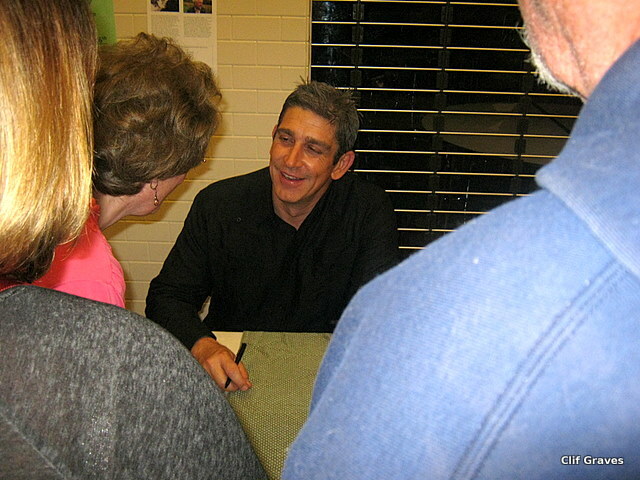 An Evening with Richard Blanco: Best. Poetry. Reading. Ever. Yesterday was quite the day for little Winthrop. 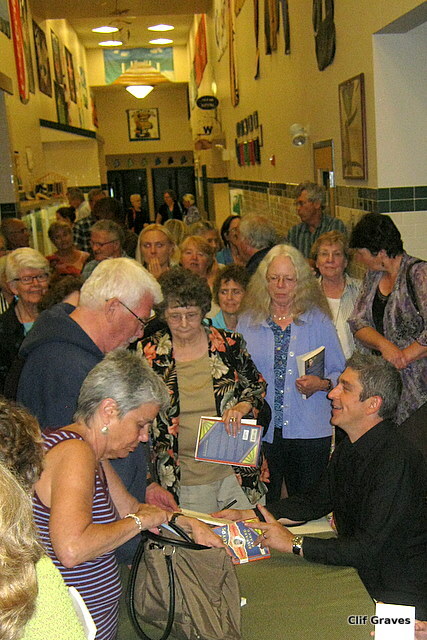 Our own Bailey Library hosted a poetry reading by Richard Blanco, who describes himself as “[m]ade in Cuba, assembled in Spain, imported to the U.S.A.” And now Blanco lives in Bethel, Maine, which is not that far from Winthrop. Lucky us! As Richard Blanco is only one of five poets to have read at a presidential inauguration, I think it’s fair to call him the Mick Jagger of the poetry world. Not surprising, then, that the auditorium at the high school was packed. The estimate was between three and four hundred people. I’d put it closer to four hundred. By the time Blanco started his presentation—part personal history, part slide show, part poetry reading—there were no good seats left. Television brought the non-Cuban world to Blanco, and from an early age, he realized that he and his family were outside the cultural norm. Blanco yearned to be in America, and for him, the grocery store Winn-Dixie symbolized everything that America represented. And ate. All the food Blanco and his family ate came from small Cuban grocery stores. Nowadays, of course, we think it is cooler to go to small shops rather than chains, but in the 1970s, when Blanco was a child, that was not the case. Blanco’s grandmother, who sounds like quite the force of nature, refused to shop at Winn-Dixie. It was too expensive, she said, and they didn’t belong there. But when she saw a flyer advertising chicken at a great price, she relented. Blanco went to Winn-Dixie with his grandmother, and “I was finally in America.” I suppose, in a way, he was. Or at least one version of it. As Blanco grew older, he learned the value of his own culture, but like anyone who is born outside the cultural norm, it takes a while. Indeed, his experience sounds so much like the experience my generation of Franco-Americans had. Many of us, at some point, rejected our heritage, only to come back to it as adults, to realize that there was an incredible richness in being Franco-American. But I understood the embarrassment he felt when going on vacation with his parents, who, lets face it, didn’t really fit in outside their small Miami circle. Their budget was tiny, their suitcases were battered, and they brought their own food, which definitely did not come from Winn-Dixie. My inner child cringed along with Blanco as he described the experience. Blanco also had to come to terms with being gay and with a grandmother who was not exactly accepting, shall we say. This, combined with being Cuban American, is very rich material for a poet. As the writer Geoffrey Wolff has put it, a good story is a hell of a gift. When he finished, Blanco received a standing ovation, which he certainly deserved. As a poet, as a speaker, he is warm, funny, sad, and wise. His use of language is both beautiful and down-to-earth. Blanco is a true artist, and after listening to him, I felt enlarged. I have only touched on the territory Blanco covered last night, and I highly recommend reading his books, both the poetry and the memoirs. Here is a link to his website, where his books can be ordered. “What a story teller!” Clif said when we got home. 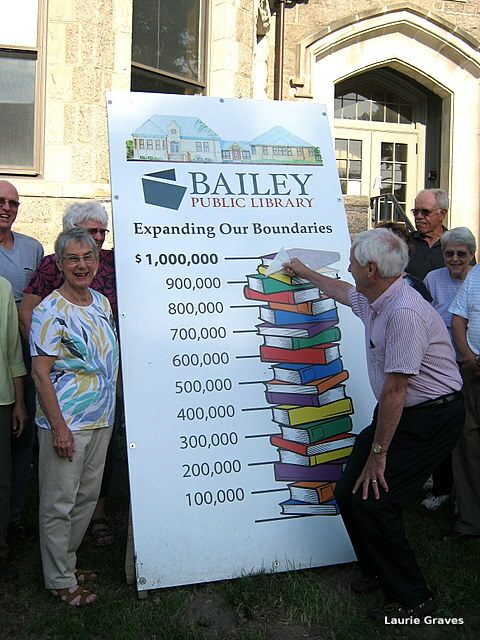 Yesterday, I went to Bailey Public Library. As I returned the movie The Big Chill, I talked a bit about it with Shane, the adult services librarian, who counts The Big Chill as a favorite. Such a good movie, we both agreed, that still feels fresh even though it was made over thirty years ago. After talking with Shane, I spoke with Richard, the library director who also happens to be a talented artist. We talked about the graphic art that he does—you can see his art here at his site The Beginning Place. I, too, am interested in doing my own graphic art, and Richard very generously explained some of the techniques he uses. I will start out slowly, as I always do, and I know Richard will be available when—not if—I have questions. When I came out of Richards office, Kat, the newest librarian, saw me, smiled, and said, “Hello, friend!” Then we proceeded to talk about the various shows we like—Supernatural, Doctor Who—and how movies made from books are so often disappointing. These interactions were definitely a bright spot in my day, and I am sure that the many patrons who come to the library have similar experiences. 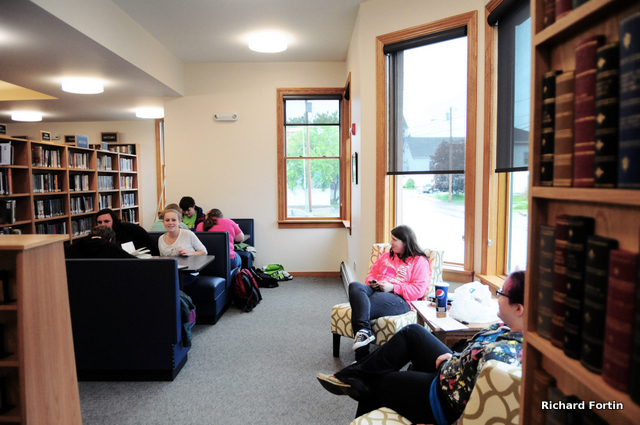 Bailey Library is such a warm, friendly place, and with the expansion, it is also physically comfortable. We now have a cozy but bright reading corner and two long wooden tables for the computers. How do you put on price on such interactions? You really can’t, even though the staff at Bailey Library makes the town a better place. To borrow from the credit card ads, it’s priceless. The library calculator couldn’t be easier to use. All you have to do is estimate the number of books, movies, and other materials you borrow annually from your library. Programs, which are usually free, are also included. Clif and I are what you might call heavy library uses. I estimated that we borrow, on average, seventy books a year, many of them through interlibrary loan, and one hundred DVDs. We also attend many of the programs. The value of the library use for Clif and me comes to $2,215, which is $1,107 apiece. Let’s do a little mind game and calculate what the amount would be if all 6,000 residents of Winthrop used the library as much as Clif and I do. Drum roll, please. It comes to $6,645,000. For a maceroni-and-cheese town like Winthrop, that’s a lot of money. Now I realize that not all 6,000 residents of Winthrop use the library the way Clif and I do. Some don’t use it at all. However, the case could be made that families with children might use it even more than we do. So let’s slice that number in half, which would take into account the people who use it less or not at all as well as the regular users of the library. 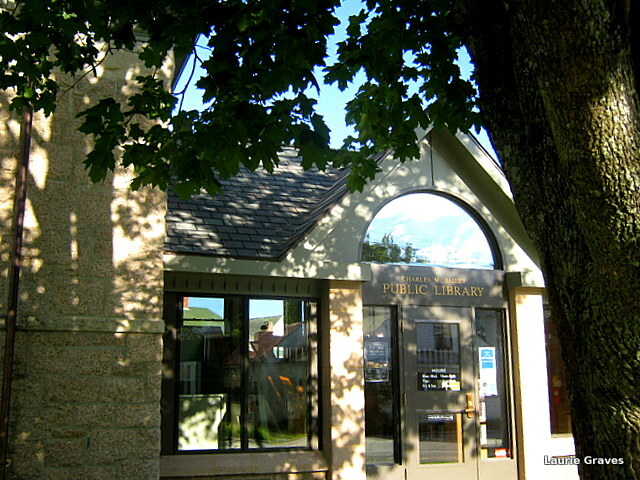 We still get a total of $3,322, 250, which, when you consider that the town gives the library less than $300,000 for its yearly operating budget, is a darned good return on tax money spent. What is your library worth to you? What is the value of your library use? 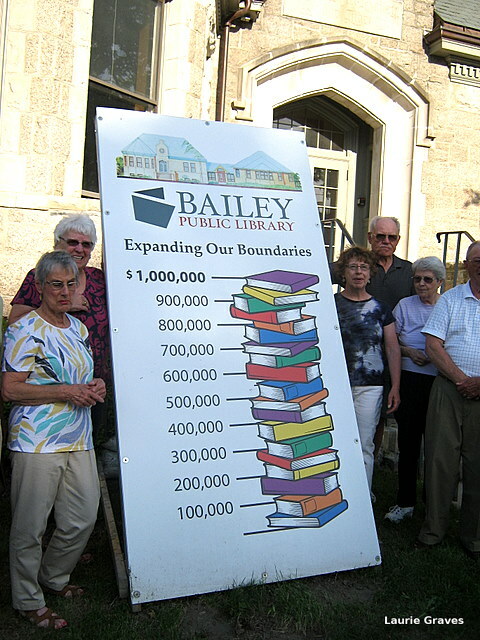 Yesterday was an exciting day for the Bailey Library Expanding Our Boundaries Campaign Team. 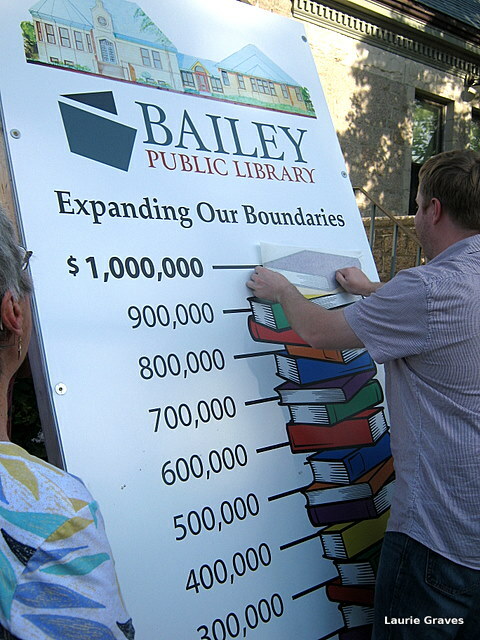 We have reached the million-dollar goal of our campaign, and we were able to add two books indicating this on our sign outside the library. Oh, happy day! After adding the last two books to the sign, we had a pizza party for the campaign team. Before, whenever we had a campaign-team gathering, it was in the original library’s fireplace room, which was crammed with bookshelves and tables. Now, we have an honest-to-God meeting room with two long beautiful oak tables that can comfortably seat twenty people. 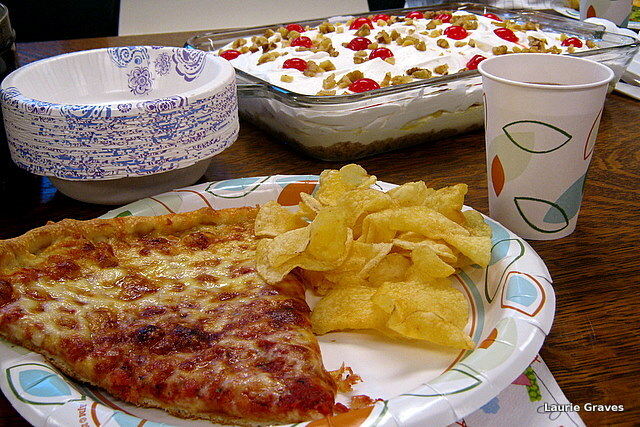 We have a big table in the adjoining events room where food can be served buffet style. How roomy and comfortable it all is and how much these rooms add to the library. 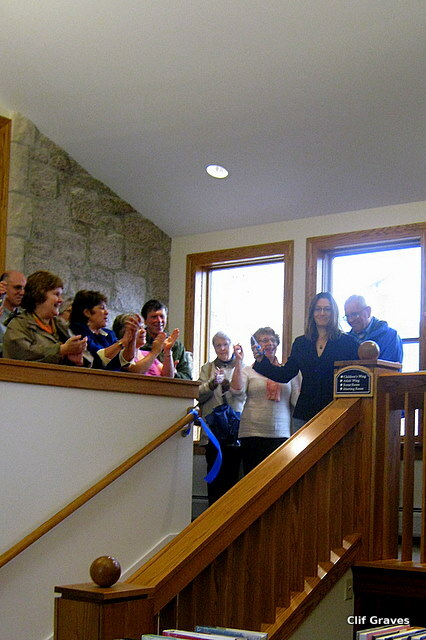 Sometimes, I still can’t believe we have this lovely expanded library for our town. As Shane-Malcolm Billings, the adult services librarian, likes to point out, with an average of 3,000 books being borrowed each month, books are still very much the center of Bailey Library. This is as it should be, and it warms my heart to think about how much Winthrop reads. However, what the expanded library allows is plenty of room to hold events, and this summer is chock-full of activities for children and adults. Between books (and DVDs) being borrowed and the expanded space for events, it is my guess that Bailey Library will soon become the cultural center for the town. But, there. Now that the grand opening is behind us and the budget is set for another year, I should be able to settle into summer and rest a bit. 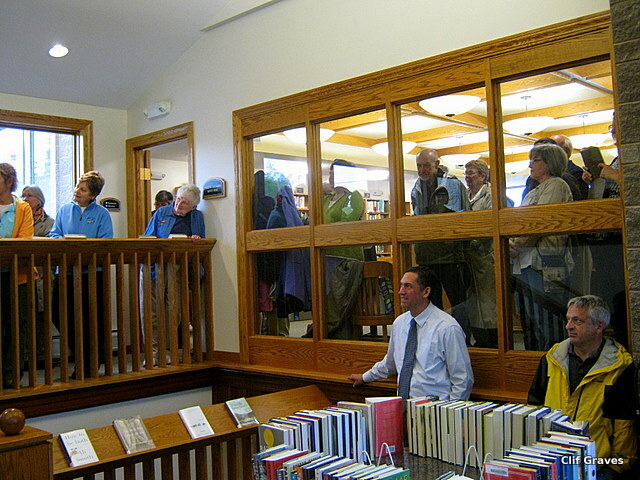 After the ribbon cutting, people stayed to chat, admire the library, and check out books and DVDs. Clif commented on the happy vibes that filled the library. We were indeed all happy: the trustees and campaign volunteers who have worked so hard to raise the million dollars for the project; the library staff who have also worked hard to move the library from its temporary location and to make everything presentable for the opening; the patrons who now have an expanded library filled with light and oak shelves and plenty of room to sit and read. We were all smiling, smiling, smiling. Loony for libraries. Margy certainly got that right. Later in the day…happy teens in the new teen section.